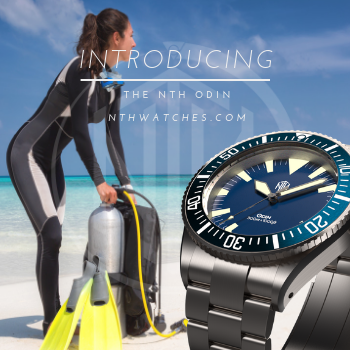 Zelos Watches has had very successful year with the Helmsman and the Chroma. 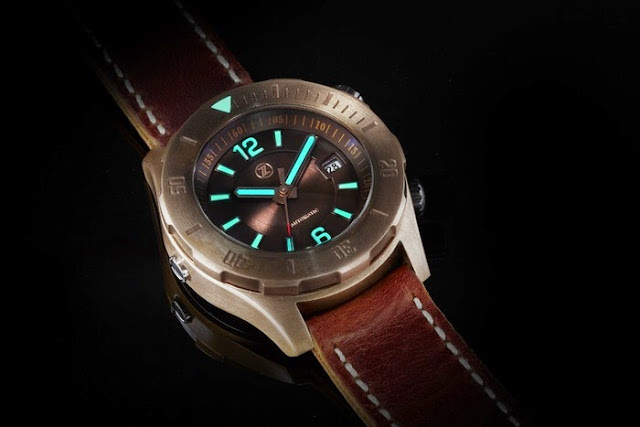 Now they are poised to roar into 2015 with the Abyss, an outrageously capable bronze dive watch, now available for pre-order on Kickstarter. 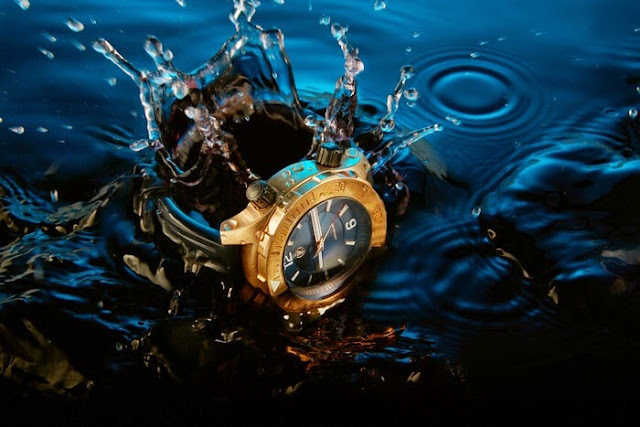 One of the few criticisms of the Helmsman was its 100 meter water resistance. While perfectly suitable for most activities, it is not sufficient for scuba diving. The Abyss addresses this in spectacular fashion. 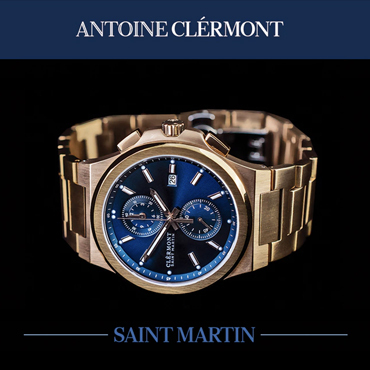 Its 43mm CuSn8 bronze case is built to withstand 3000 meters water resistance. Yes, thousand. Its double domed sapphire crystal is a whopping 7mm thick. Both of its screw down crowns seal with five gaskets. A double O-ring system seals the hefty 4mm thick stainless steel screw down case back. The watch wears two bezels, a 120 click unidirectional diver's bezel on the outside, and an internal unit for additional timing. A Helium escape valve provides functionality for saturation divers. BGW9 SuperLuminova lights the hands and markers. 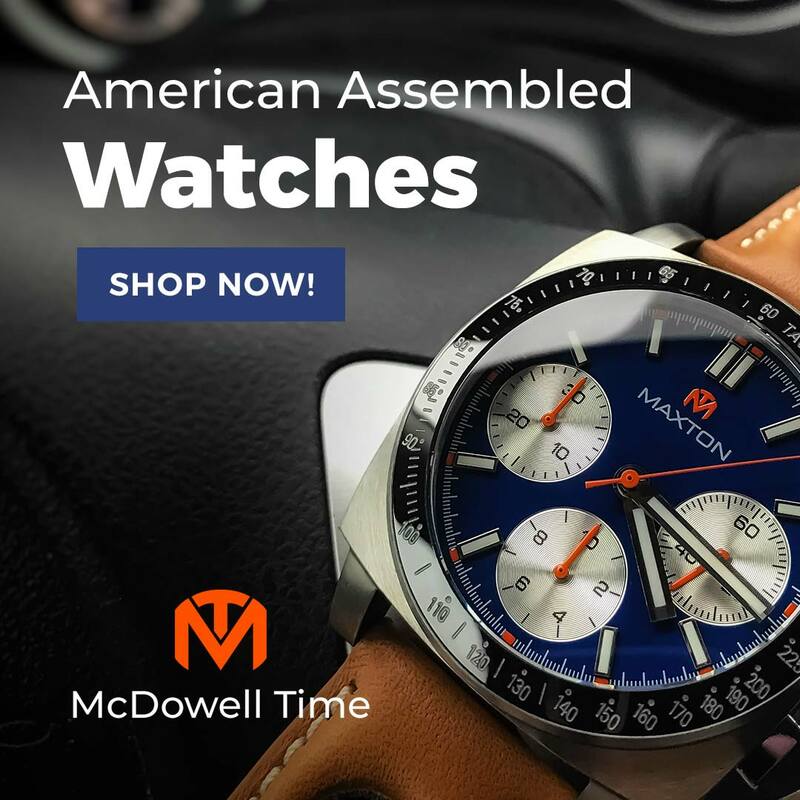 The movement is a Miyota 9015 automatic. 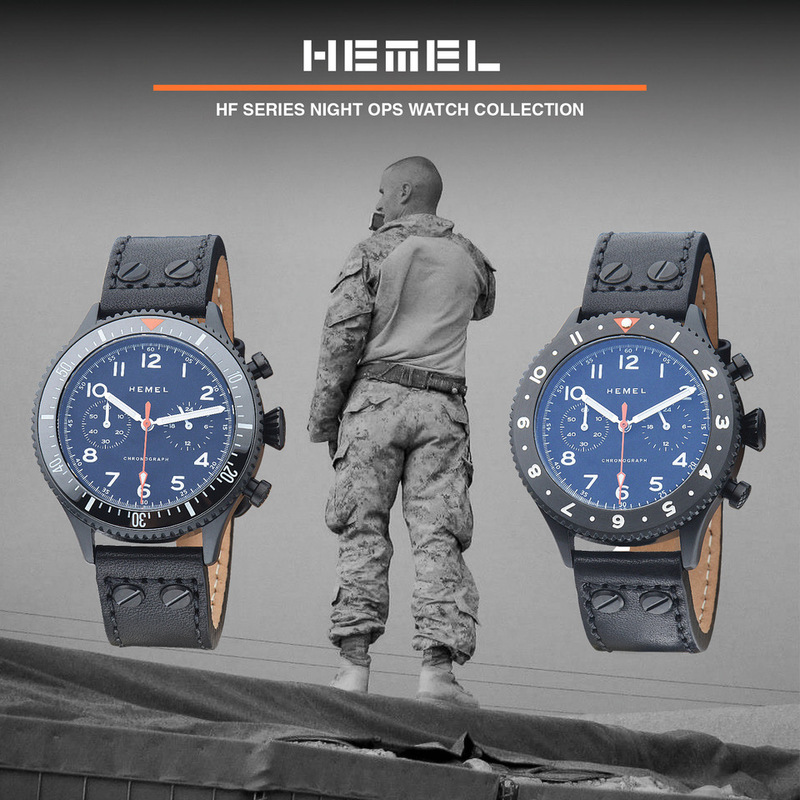 Only 500 units will be produced and each piece will be individually numbered. 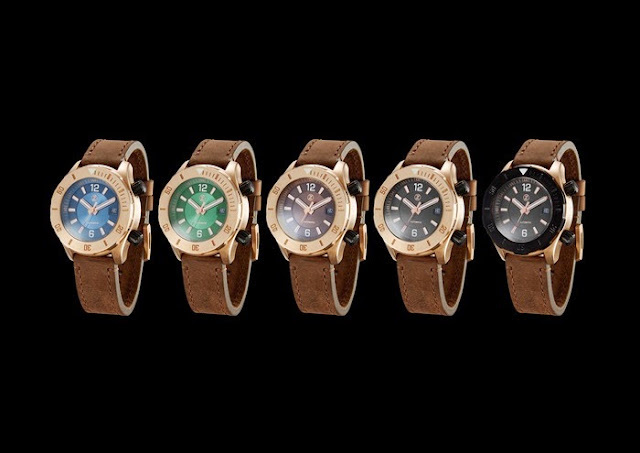 Five variants are offered: Blue, Green, Brown, Black, and DLC bezel with Black dial. Each will be shipped with a leather watch roll, brown vintage leather strap, and black rubber five strap. Early bird pricing starts at $599 AUD ($490 USD, 390€ EUR). MSRP will be approximately $900 AUD.